The Lodge is a once-a-year convergence of Michigan Cocktail and Maker Culture, offering a cozy holiday drinking and shopping excursion. 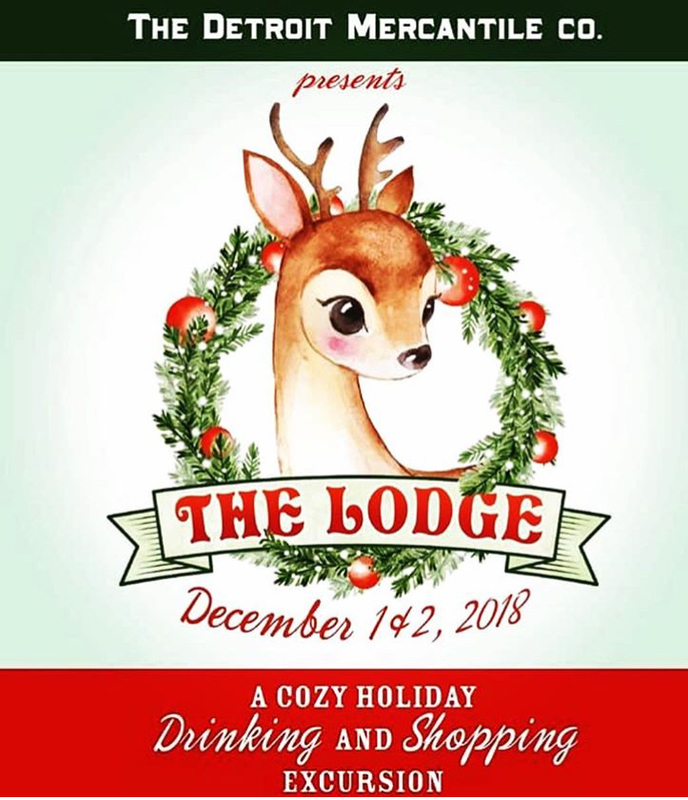 Held at Detroit Mercantile’s flagship store in Eastern Market, it will feature tappings of Michigan craft beers, 35+ select Michigan Design/Art/Craft/Vintage & Food Gift Vendors, several area food trucks and special holiday DJ sets from some of Detroit’s most beloved DJs. This hardy holiday event takes place December 1st 9am-9pm and December 2nd 10am-6pm. Hope to see you there!